To say that Munson Steed oversees a media empire would not be an exaggeration. CEO of the Steed Media Group, a multimedia company that includes flagship publication, Rolling Out— the largest chain of African-American-owned weekly newspapers in the country—-he’s literally got his finger on the pulse of black urban America. But more than that, Steed, whose conglomerate has included magazines (Direct Wire), video and music programs (F.M. Video and Today’s Jazz), comic books (G-Force), Websites (Blackbookstore.com), and a record label (Soulestial Elements), considers himself a visionary who is focused on building and maintaining a brand that is entertaining, politically relevant and civic-minded. For him this means forming strategic partnerships with other highly successful brands to help corner the market space. “We’ve got some phenomenal partnerships with Ford, CBS, McDonald’s, American Airlines and other big companies,â€ Steed starts of his “360â€ print, digital, online and mobile platforms. “[Working with brands of this caliber] allows you to operate outside of the box, utilizing your relationship with the community so that your brand in its identity is part of how you communicate with the world. 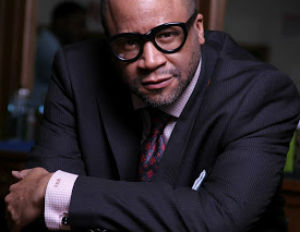 Whether it’s about acquiring a new skill set, making an acquisition, gaining community recognition, or the sharing and bridging of partnerships between services and technology, that’s what transpires as you build brands that are authentic,â€ explains the Morehouse graduate, who cut his entrepreneurial teeth while he was still in college, launching a retail and entertainment business specializing in promotions, as well the sales of T-shirts and other college paraphernalia. Rolling Out, which is nearly 15 years old, is at the center of Steed’s “authenticityâ€ movement. He describes the paper as sort of a black version of the alternative weekly “The Village Voiceâ€— one that has helped to break the careers of now high-profile stars. Steed says that there are, of course, other methods to his business madness — beyond highlighting emerging personalities and staying connected to community through grassroots efforts. Much of his philosophy, he says, he’s discovered through relationships, self-education and by following the paths of his mentors. To that end he offers the following advice to aspiring entrepreneurs, regardless of what field they are looking to break into.